First Grow, Hows it look? 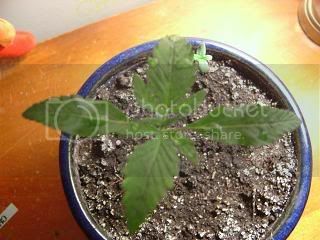 Discussion in 'Growing Marijuana Indoors' started by floyd420, May 5, 2006.
im new to all this and just wanted some input from more experienced growers. 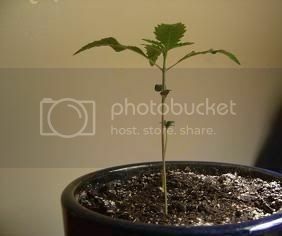 like i said this is my frist grow and its just some bagseed that i planted for practice. he/she's about 10 days old. tell me how it looks. the light is actually alot closer, i only took it out for pictures. 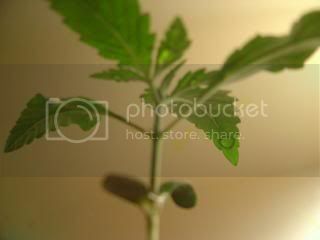 but its about 2 inches off the plant. Looking good, floyd420. Just get that light directly over the canopy and you'll be on your way to some bomb homegrown bud. First grow. Hows it look so far? 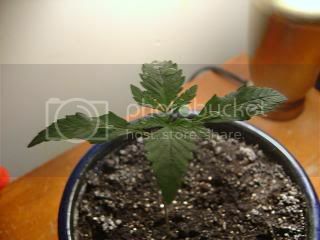 First Grow hows it look? First grow, Hows it look? ?